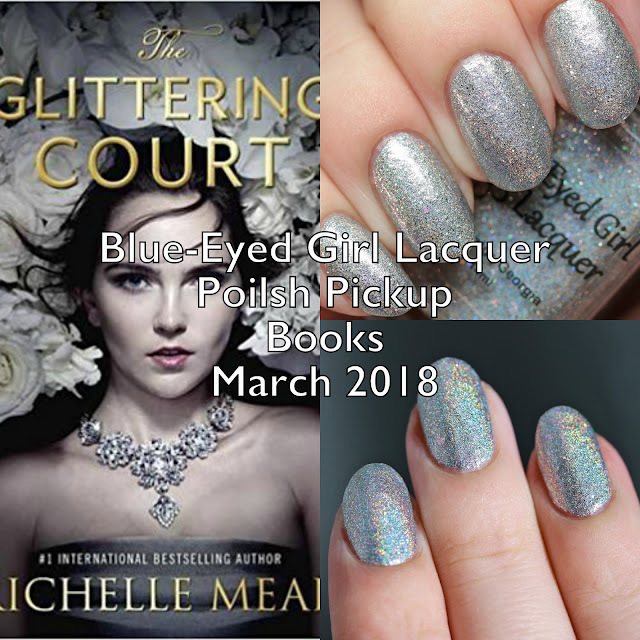 Blue-Eyed Girl Lacquer Because of My Character is a silver mega-linear-holo with silver holo microglitter, cyan-indigo duochrome shimmer, platinum microflakes, purple-to-green multichrome shimmer, and blue-to-gold and fuchsia-to-lime multichrome iridescent flakes. 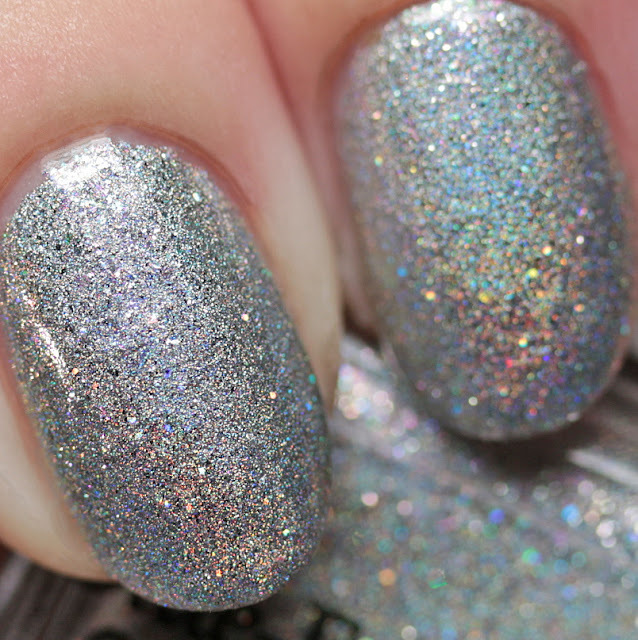 Man to these pack a punch! This polish covers in two or three thin coats and has a quick dry time. 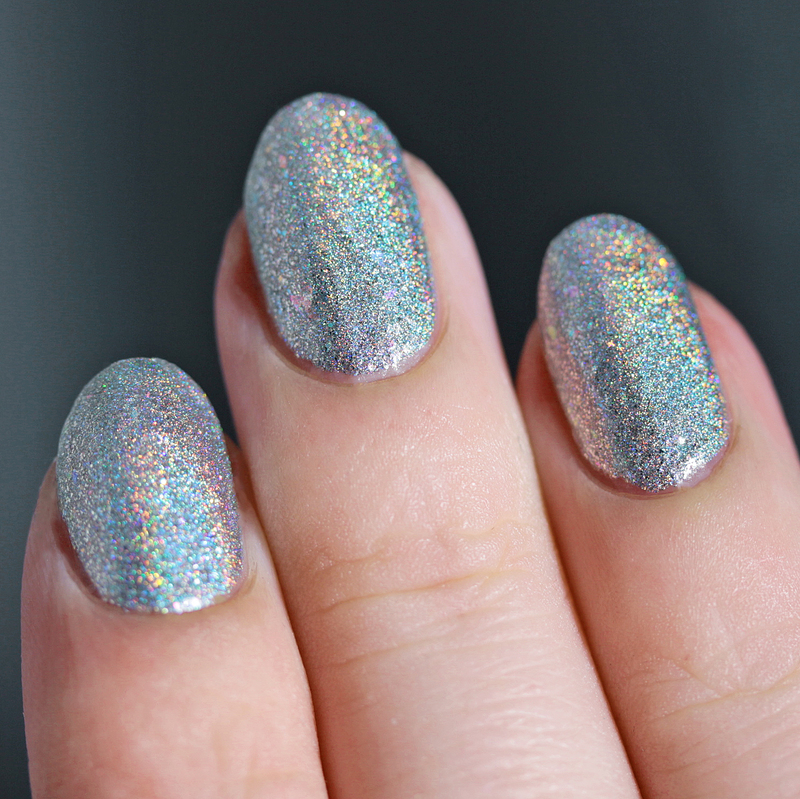 There is a little texture but it smooths out with a single layer of top coat. 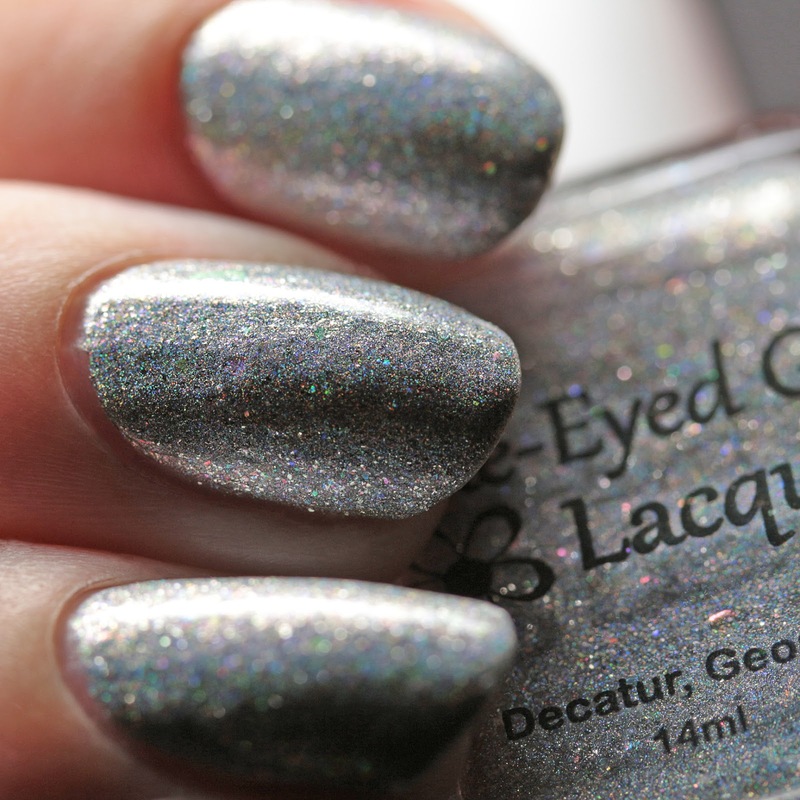 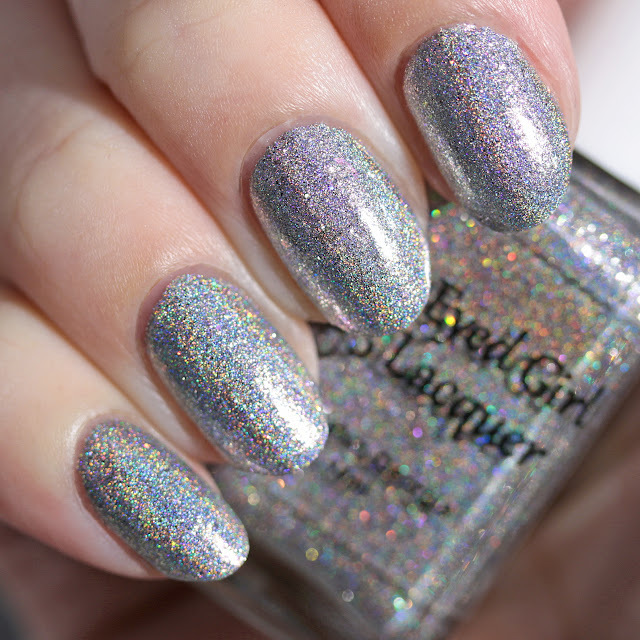 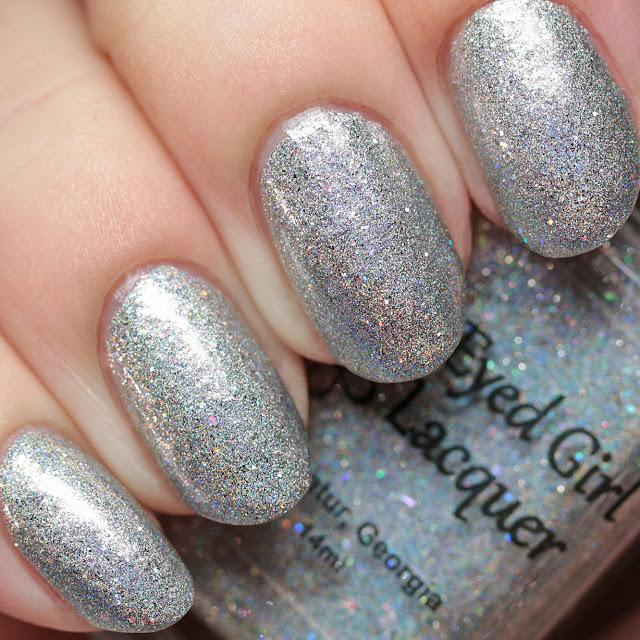 This polish is available from the Polish Pickup for a four day pre-order starting on Friday, March 2 at 11AM EST. 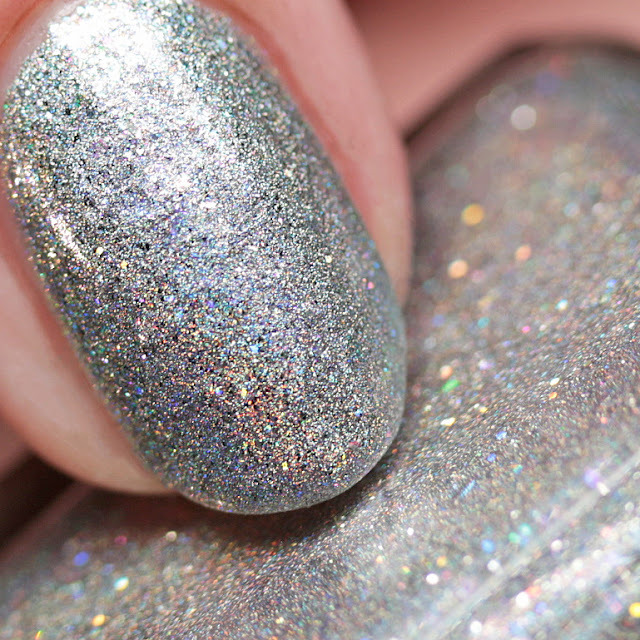 What an awesome way to jazz up a mega holo silver! Do you have your picks for March selected?